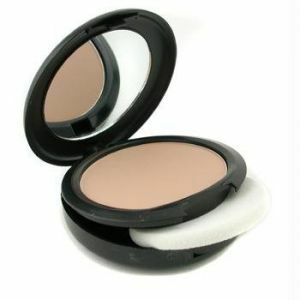 What’s great about this powder is how versatile it is. It’s buildable and is suitable for most skins types. If you have dry skin, just apply a tonne of moisturiser to your face before application and you’re set. If you’re a bit of an oily baby like me, this won’t be necessary. It can be worn on its own, over a bit of concealer, or over a light layer of liquid or cream foundation for extra coverage. If you’re in a hurry and your skin’s looking a bit peaky, grab a kabuki brush, slap it on your face and BAM – you’re good to go in about a minute. The way I wear it has changed somewhat over the years. I really can’t believe the speed that that I used to go through this stuff back in the day; I had to buy one every month or so. I must have been caking it on SOMETHING FIERCE. I wince at the expense too, how on earth did a part-time job in the local cinema keep my MAC powder addiction going? Nowadays I mainly either use it on its own when I don’t have time for liquid foundation, or just mainly for touching up my face throughout the day or night out (mainly my nose, make-up still likes to melt off around there like there’s no tomorrow). Now it lasts me up to five months, making the 32 euro price tag a little bit less daunting. Did I mention that it’s available in a about a billion shades (note: slight exaggeration). That’s also what appealed to me about it as my skin tone is basically a shade paler than Casper. My local Boots just did not cater for my kind and MAC essentially saved me from several more years of enduring the dreaded foundation neckline. Thank the gods for NW15! So, whether you are paper-pale or a more dark skinned individual, oily skinned, dry skinned, or somewhere in between; this powder has more than likely got you covered.